One school of thought regarding reluctant readers is that they have not yet found the right books for them; once they find the right books, with the right elements of interest, they can’t help but be pulled in to reading. Numerous forces act on us every day in just this way: they pull us in, both literally and figuratively. From water and quicksand on Earth, to black holes and gravity all over the universe, plenty of forces can pull readers in. Try the following activities to pique reluctant readers’ interest. Create a Science Spot (a display case, table or countertop) on the topic of Newton’s laws of motion. 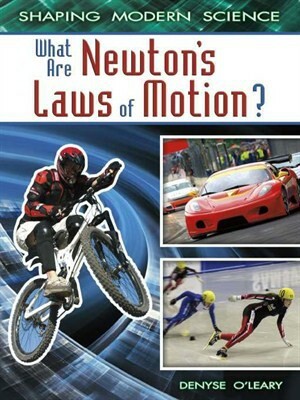 Make signs for each of Newton’s three laws, using a book like What Are Newton’s Laws of Motion? by Denyse O’Leary for suggested wording. Add objects to help foster understanding of what these laws mean. For Newton’s first law, include a skateboard or miniature bike, with a question that asks, “If this skateboard hits a curb and stops moving, does the skateboarder stop moving too?” Use similar objects and questions for the second law (Which is easier to accelerate with a kick—a ball or a brick?) and the third law (after showing a photo of a rocket; Why does flame burning downward push the rocket upward?). 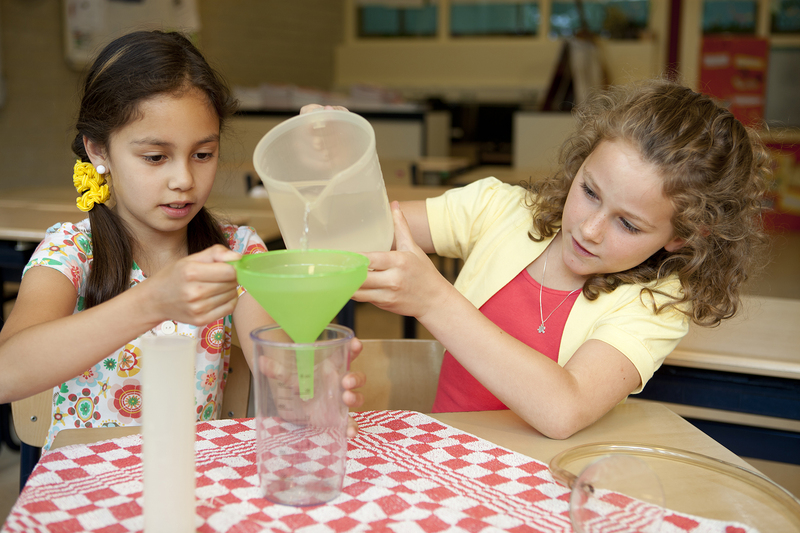 Short activities allow children to engage with a STEAM topic through a combination of different hands-on opportunities. They are excellent for school libraries, in which lessons may be brief, and they allow public libraries to combine several small activities into self-directed stations at a single program on the theme. Share key facts and images related to quicksand, including the dangers it poses, using a book like Quicksand by Kris Hirschmann. Divide children into teams, each with the task of creating a prototype of an apparatus to help explorers quickly cross a pit of quicksand. Provide straws, toothpicks, chenille sticks, twist ties, paper, scissors and tape for supplies. Leave 10 minutes at the end of the activity for the teams to share their creations with everyone. Discuss how black holes work and why light cannot escape from them, using a book like Exploring Black Holes by Laura Hamilton Waxman. Key terms to discuss include vacuum and event horizon. Demonstrate how a black hole pulls matter apart by creating a vacuum around a candle. Set a large flat-bottomed container on a table. Pour water into the container so that it is about 1–2 cm high. Place a votive candle in the center of the bowl; if the water rises over the candle, set the candle on a round of clay to give it more height. Carefully light the candle, and then place a clear glass cup over the lit candle. Watch as the candle uses up all of the oxygen under the cup, creating a vacuum. What happens to the water within the cup? Is it at the same height as the water outside of the cup? Visit Wonderopolis and read together the article titled “What Is a Tsunami?” Watch the first few minutes of the “Tsunami Basics” video at the top of the article, and then share pictures of tsunami waves from a resource like Leon Gray’s The Science of Tsunamis. Key terms to discuss include wave and energy. Use a Slinky toy to demonstrate how waves are created. With students holding the Slinky at both ends, stretch it across a table. Demonstrate longitudinal waves by applying force to the front of the Slinky, creating motion along the Slinky’s body. Demonstrate transverse waves by moving one end of the Slinky up and down along the table. Discuss how these waves are different. Share a chapter from I Survived the Japanese Tsunami, 2011 by Lauren Tarshis or Tsunamis and Other Natural Disasters by Mary Pope Osborne and Natalie Pope Boyce to encourage further exploration of tsunamis. When the Titanic sank on her maiden voyage, she pulled many passengers into the Atlantic Ocean with her. Share excerpts from Deborah Hopkinson’s Titanic: Voices from the Disaster to give an idea of the different types of people who were on board the Titanic when it sank. Provide both books and electronic resources for students to find out more about a person who was on the Titanic. Make a wall of quotes from or details about these people, making note of whether they survived. Activities designed for use in classrooms or programs are generally longer and more in-depth than the short activities. They are great options for school librarians who partner with an individual classroom on a theme unit; either the librarian or the classroom teacher can lead the activities. They are also excellent stand-alone program options for public libraries. Read the Wonderopolis article titled “Why Do You Sink in Quicksand?” Watch the “Keeping Science Real” video at the top of the article. After learning basic information about quicksand, separate children into groups at tables. Each group of children should have a container in which to mix their quicksand. Each group should pour 3 cups of cornstarch and 2 cups of water into their container. Use spoons or fingers to gently mix the “quicksand.” When the quicksand is mixed, encourage children to explore how it acts as both a liquid and a solid. Be prepared for a bit of messy hand washing after this activity. 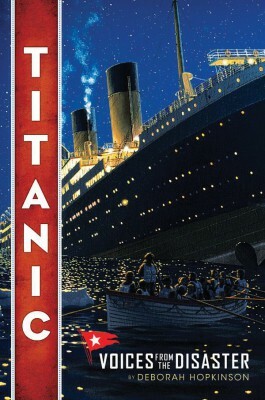 Share information about the sinking of the Titanic, using a book like Titanic by Sean Callery. Make particular note of the Titanic’s use of compartments to prevent sinking in the event of a hull breach (pages 76–77 in the Callery book). Demonstrate how the compartments were intended to work, and how they ultimately failed, using tubs of water and ice cube trays (metal trays work best, but plastic will do). Place an ice cube tray in a tub filled with water. The tray should float atop the water. Use an eyedropper, turkey baster, or cup to gently fill one cube section with water. Observe what happens to the tray “boat” when this compartment is filled. One by one, fill adjacent cube sections with water, observing what happens to the “boat” each time another compartment fills. At what point can the “boat” no longer stay afloat? Booktalk Lauren Tarshis’s I Survived the Sinking of the Titanic, 1912 to inspire further exploration of the Titanic. Explore how black holes affect objects that fall into them, using A Black Hole Is NOT a Hole by Carolyn Cinami DeCristofano. Share an image of objects appearing to be stretched as they fall into a black hole (pages 36 and 48 in the DeCristofano book). Have children create cartoon flip books depicting black holes. Give each child a pad of sticky notes and a pencil. Explain how flip books work, with each subsequent drawing appearing slightly changed from the one preceding it. Encourage children to pretend the bottom of the page is a black hole and to draw different objects falling into it; in each subsequent image, the falling object appears more and more stretched until it is fully pulled into the black hole and no longer visible. Leave time to share flip books at the end of the activity. 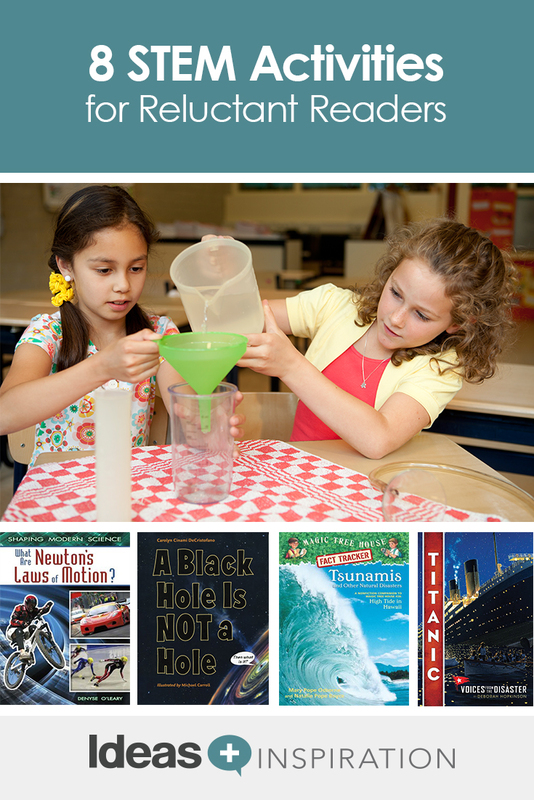 Reading connections include fiction and nonfiction titles that can be shared, either as read-alouds or as booktalks, in the discussions of the theme. I Survived the Japanese Tsunami, 2011 by Lauren Tarshis. 3–6. Ben is visiting Japan, his father’s homeland, in 2011 when a tsunami occurs. Tarshis uses her talent for creating first-person accounts of disasters to give young readers a sense of the danger, fear and resilience that accompanied this devastating event. I Survived the Sinking of the Titanic, 1912 by Lauren Tarshis. 3–6. Through the adventurous and brave voice of ten-year-old George, Tarshis allows readers to feel as though they are experiencing the Titanic’s disastrous maiden voyage first hand. A Black Hole Is Not a Hole by Carolyn Cinami DeCristofano. 4–6. This substantial information text gives ample in-depth descriptions of how black holes work, how they were discovered and how they affect the universe. 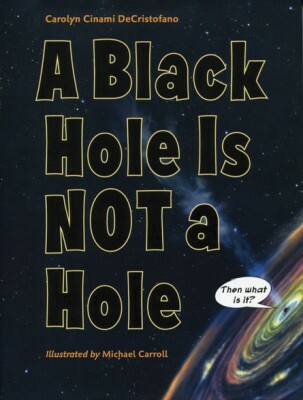 The author uses accessible language to explain complicated concepts like how black holes affect time. Exploring Black Holes by Laura Hamilton Waxman. 1–4. This image-heavy book, with a limited amount of text on each page, provides a manageable introduction to black holes and how they work. Excellent for exploring black holes through images and information content. Quicksand by Kris Hirschmann. 3–6. This title provides young readers all the basic information about quicksand, from how and where it forms, to what dangers it poses, to its popularity as a perilous obstacle in movies. The Science of Tsunamis by Leon Gray. 3–6. In addition to providing basic information about the science of tsunamis, this slim, photo-heavy volume shares plenty of interesting fact bubbles and coverage of significant historical tsunamis and their aftermath. Titanic by Sean Callery. 2–6. This information text contains myriad high-quality photographs and illustrations to accompany all aspects of the Titanic: why and how it was built, what the voyage was like, the ship’s sinking, and what happened to survivors and the ship itself. There is plenty of detail in this book to entice reluctant readers, and children both familiar with and new to the Titanic will find it fascinating. Titanic: Voices from the Disaster by Deborah Hopkinson. 3–6. This meticulously researched historical account of the Titanic follows the timeline of the fated sea voyage, allowing suspense and tension to build throughout. This book is made even more compelling by its inclusion of first-person perspectives. Tsunamis and Other Natural Disasters by Mary Pope Osborne and Natalie Pope Boyce. 2–6. 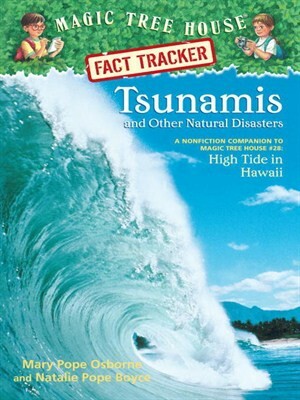 A nonfiction companion to the Magic Tree House series title High Tide in Hawaii, this book provides a thorough introduction to tsunamis in language that will be easily comprehensible to young readers.